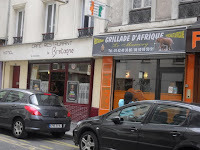 Although my Walking The Spirit Tours of Black Paris have been introducing travelers and Parisians to African-American history for 16 years, I still get a thrill discovering new tidbits to share as food for thought. Lately it's the fire of Bricktop that has me lit up. She was a hostess extraordinaire who ran the best nightclubs in Roaring 20s Paris. If you don't already know of her, let me introduce you to Miss Ada Beatrice Queen Victoria Louise Smith, aka Bricktop. Said this fiery redhead from Virginia: 'I'm not a singer, I'm not a dancer; I'm a performer and a saloon-keeper'. Hearing that, you just know she was destined to drop a bomb on the decadent Paris scene. That is, once she got past the classic Paris trip-up: reality check of expectations vs what Paris feels like offering up. How would you react if you had seasoned your act in the swankiest Chicago and New clubs, then Paris beckoned so you set sail only to find yourself gaping at your new place of employment that fit precisely 12 tables and a minuscule bar. 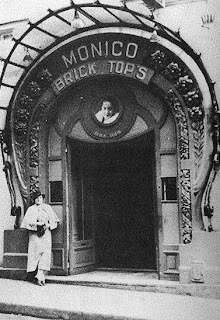 Of small comfort, a 22-year old Langston Hughes offered the entertainer a hanky to dry her tears and some refreshments from the kitchen at Le Grand Duc where they both now worked. Revitalized, she got up and put her saloon-keeping skills to work with entrepreneur and employer, aviator Eugene Bullard. 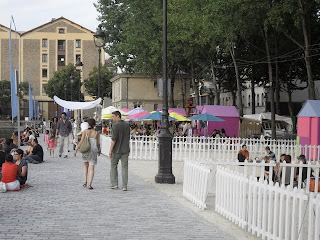 Together they turned that little dive into the hotspot for jet-setting celebrities in Lower Montmartre. A year and a half later, the shrewd but oh so classy Bricktop opened her own namesake club directly across the street. As hostess to royalty and writers, to movie stars and homies, she became both the spark and the cultivator of change. 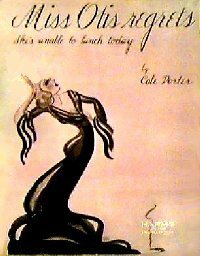 It's well-documented gossip that F.Scott Fitzgerald and Cole Porter fought over her on that corner of Rue Pigalle and Rue Fontaine in the heart of Black Montmartre; out of their boyish one-upmanship came the classic tune 'Miss Otis Regrets'. Away from judgmental eyes, she agreed to teach the Prince of Wales to swing his behind to the latest dance 'Black Bottom'. At the bar, Black and white Americans rubbed elbows without friction, taking in the latest records from home. And somewhere in that maddening, jubilant crowd, two fresh-faced local musicians listened with their whole spirit. Then a certain Django Reinhardt and Stephane Grapelli went home and worked their guitar and violin until they formed France's first professional jazz band. Beyond the expat-makes-good story, what piques my curiosity is Bricktop's personal politics - the decisions she made as an influential woman. Though kept very private, her love life provokes reflection on the real values of the day and on our assumptions. 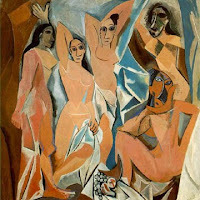 One might assume that, surrounded as she was by powerful and accomplished men, in freewheeling Paris no less, that she just might slip into the obvious. Well, not for this equally powerful and accomplished Black woman! Her rule number one - never mix business with pleasure. Then she wondered aloud what a successful African American woman would want with a white man, even if he was her manager. She herself married a Brother saxophonist, Peter Duconge, in 1929 but my question branches from her puzzlement. Lower Montmartre of the 20s attracted an international mix of party-goers so crossing the color line wouldn't raise an eyebrow. 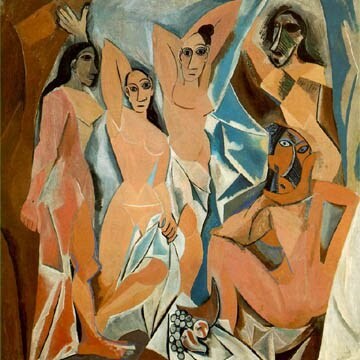 Picasso hung out at Bricktop's. but rarely, (Josephine excepted), the other way around in that time period - up to the 1950s. Was it because the Black community was so fervent and prosperous that the French offered no tangible benefits for a woman? Did the close knit community effectively satisfy that yearning to belong within the foreign culture? Despite France's reputed racial tolerance, did any of the women really consider staying and integrating? Bricktop was half black, half freckled Irish so it could be simply that she chose sides early on and was sticking to it when it came time for the ultimate commitment. How Black women's experiences in Paris have branched out since the 60s! 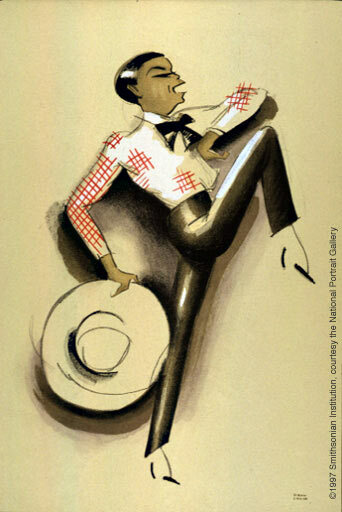 The homey inclusion of Black Montmartre of the 20s has never been recreated. Compared to the legions of Black men, the trickle of African American women relocating and staying has slowly grown. But without a visible community to soft land into, it's easy to start making a life among the French and disappear into the fabric of Gallic society. 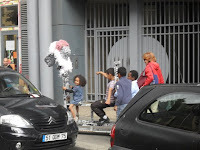 Black women who have lived or live in Paris know more than a handful of us who are navigating our adopted land as mothers, wives or significant others, career builders, cultural interpreters, and passers-on of our Black and American culture. We're carrying on what Bricktop and her colleagues started, on a less flamboyant but just as influential level. 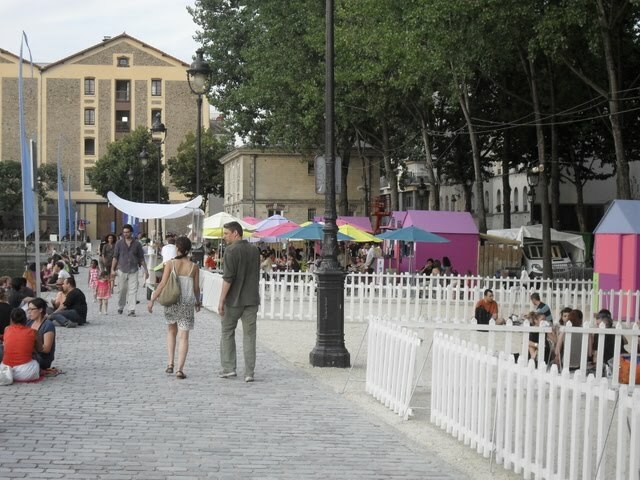 Jazz à La Villette is summer's last hurrah of festivals. Running August 31 through Sept 12, this jazz tribute brings onstage their signature creative mix of jazz, hip hop and soul. Closing night rings out with a shout out to the Black Panthers called 'Tongues on Fire' by The Roots, The Last Poets and David Murray. Preparing the terrain since the summer, the MK2 movie theater along the quays of the 19th district lined up an exciting selection of iconic Black films all summer. 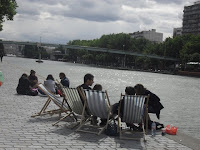 What's also great about attending this festival is the opportunity to hang out in the cosmopolitan neighborhood that surrounds La Villette and stretches alongside the waterfront. 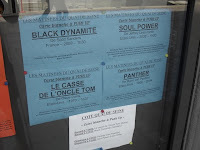 Paris doesn't get much more unselfconsciously diverse than up here in this part of the north east, the 19th district. 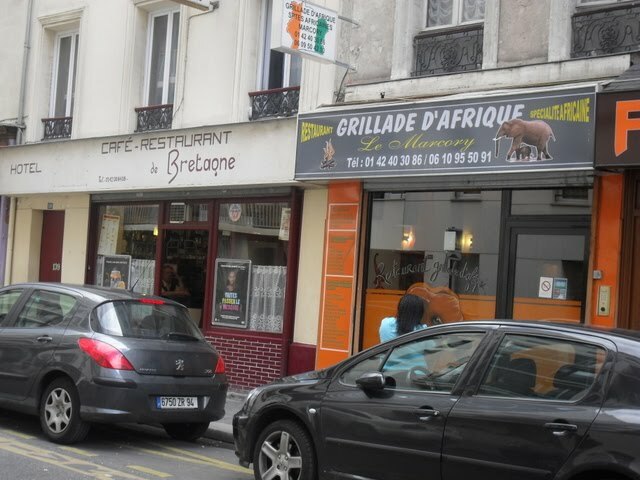 For example, you'll find an African restaurant next to a Breton creperie both facing a neighbor-tended garden which is traversed by Jews on their way to the nearby synagogue. 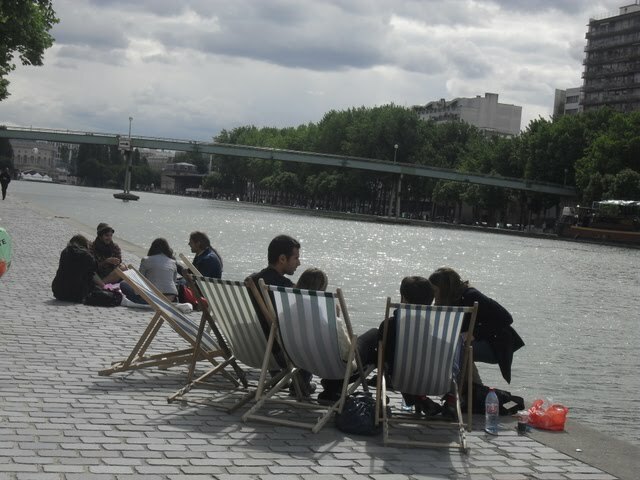 While planning your next trip to Paris, book one of the architecturally- interesting Holiday Inns that overlook the quais, and plan to get to know this homestyle Paris (between metros Jaurès to Porte de Pantin). One of the lures - the best Sicilian pizzeria in town is at metro Laumière. This topic is near and dear to my heart. Since my journey has led me, a black woman, to marry a Dutchman and settle in the Netherlands, I've been fascinated by others, past and present, who've experienced this lifestyle. Nina Simone, Josephine, Tina Turner and now Bricktop - and you - had to leave the US to discover the artist, entrepreneur and activist within. I'm convinced that more black women (and, thus, the world) could benefit from taking a physical journey similar to these and ours to find their inner strengths, talents and gifts. I love what you're doing. Thank you so much for leaving this message on my blog - it's gratifying that you love what I'm doing. into it! Wonderful reads. I've added you to my blogrole list. Wonderful story Julie, merci beaucoup! "VIVE LA GRAND DAME BRICKTOP!!" Het there I came across your blog and I'd have to say that I love it..keep up the good work! Im a Black man by the way. Just ran across yr blog. This is a reverse of sorts. A young Swiss wishing to discover in the USA roots of jazz by way of listening to Sidney Bechet, the Hot Club, and then emigrating to the US to eventually dig into the function of Jook joints..... I, too, went to discover Bricktops, and am constantly in awe of the French embrace of that improvisational lifestyle. I have now been lecturing on this improvisational lifestyle because Ii, too, stand out in the South with my weird accent. My accent cloaks my persona just as skin color can. 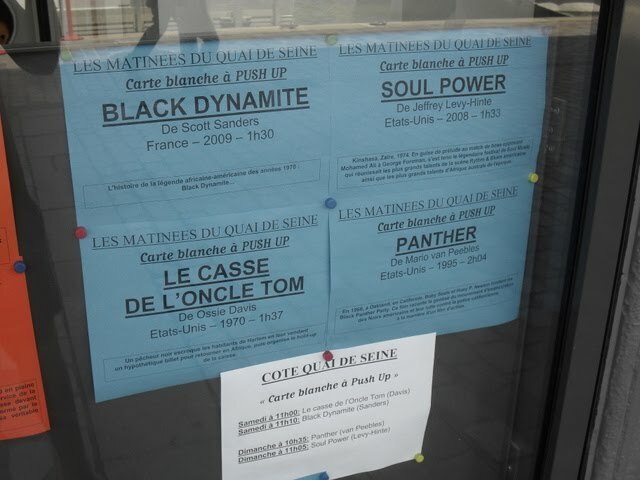 Thanks for your perceptions from a Swiss coming to appreciate the Black experience in reverse. Your comments are right on! My grandparents lied in Paris in 1932 and 1933. 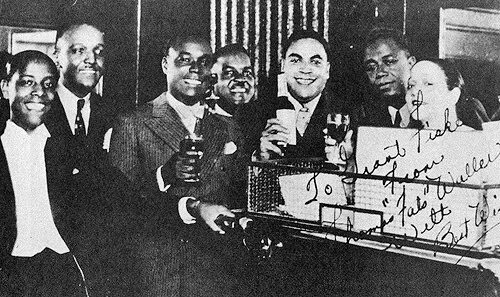 I have a photo of them at Bricktop's club with friend, Fats Waller, my great grandparents and a couple of my great aunts and uncles. As African Americans, they enjoyed meeting and being feted by many Black expats living there at the time. How can I send you the photo. Mu name is Beverly Brown.I am on facebook and my email address is writebbr@gmail.com. I have a photo of my grandparents and great grandparents in Bricktop's club in 1932. Thank you for your contribution. 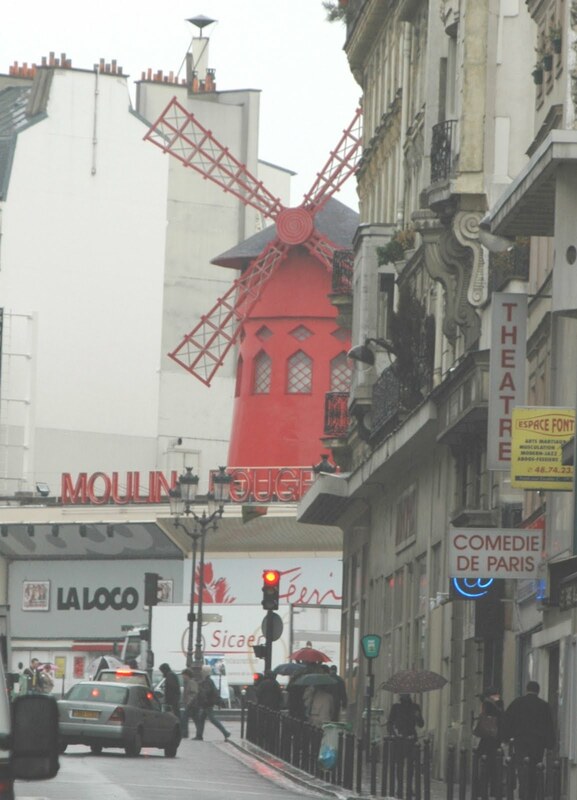 How wonderful for your grandparents to have spent time in Paris and around Bricktop's during this wild, effervescent period. 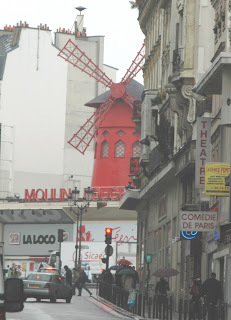 And great for you because you've got history in those streets of Montmartre! I'll inbox you about sending a photo. I'd love to see it! Thank you for your sharing this wonderful background information about Ms. Bricktop. Bricktop was my GodMother and she passed away when I was in highschool. Her sister used to live in the apartment above where I grew up in the Roseland area of Chicago and when she would stop by to see her, she would oftentimes stop to speak to my parents. I am very proud to have met her and I hope to have the same fire in my bosom that she had those years ago in Paris.